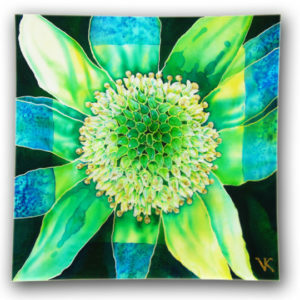 Commonly wearing strong shades of red, the waratah symbolizes a love so pure and intense, it can surmount any obstacle. 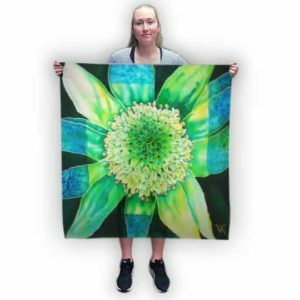 In Australia, the white waratah is a rare specie, but when it appears, it can effortlessly stand out even in the widest flower field. 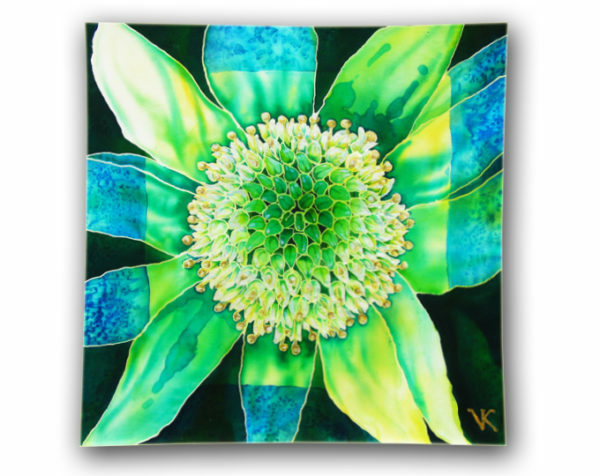 The white waratah does not only symbolize passion and love, but gentleness and purity as well. 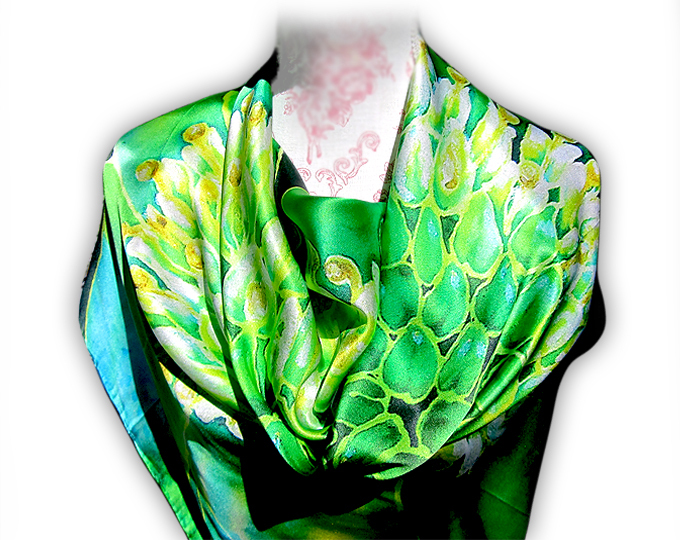 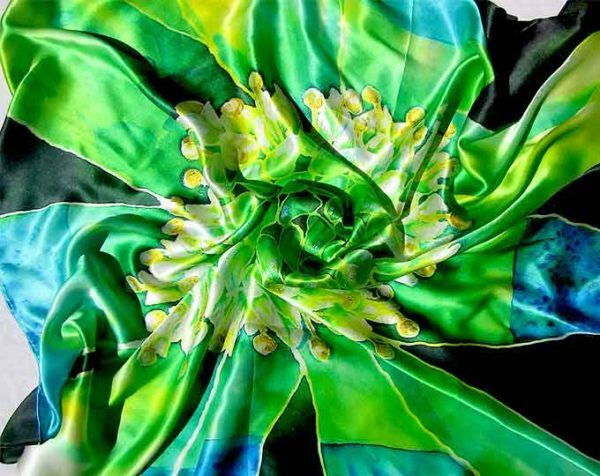 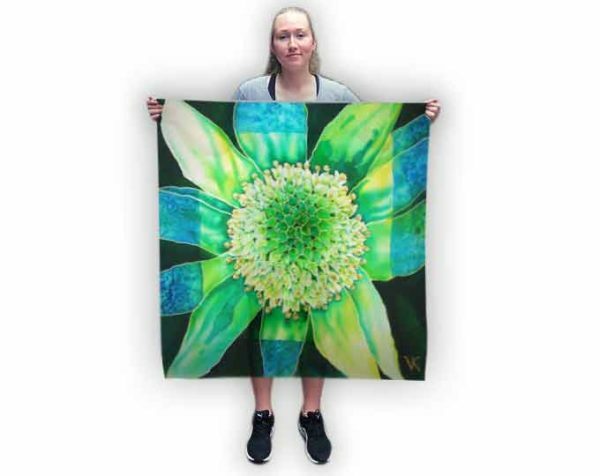 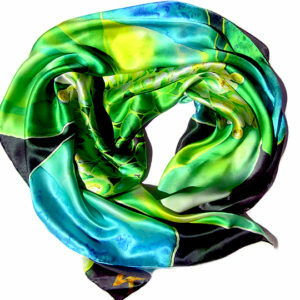 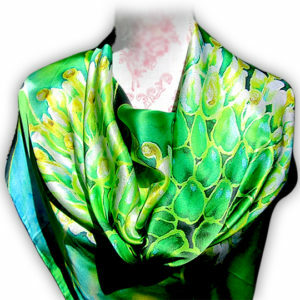 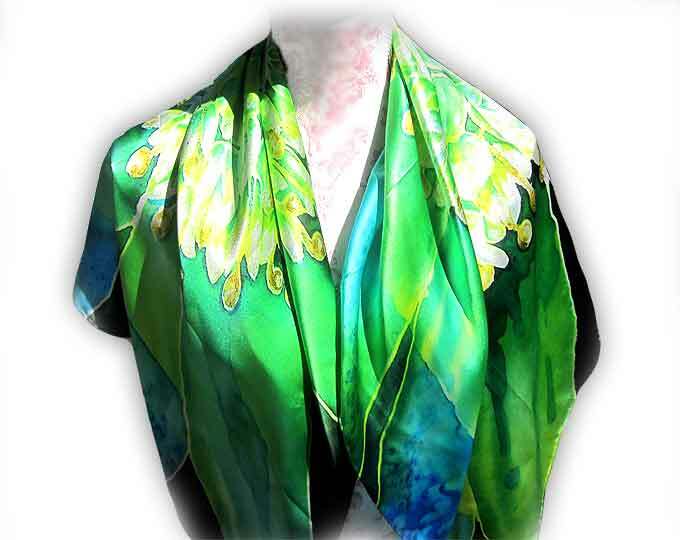 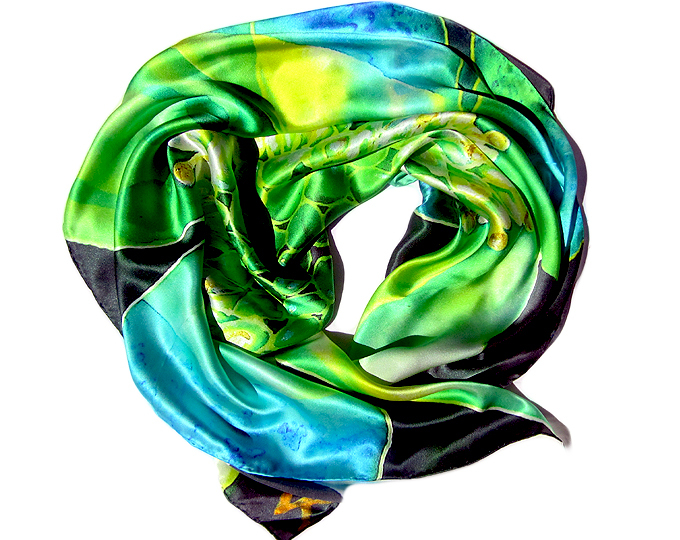 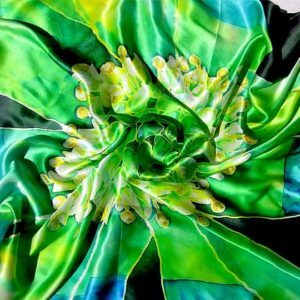 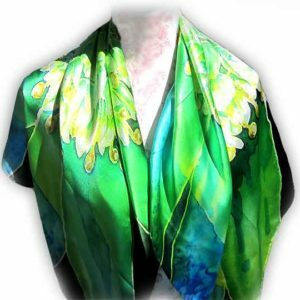 Inspired by a kind, tender and unconditional kind of love, this artwork combines the white waratah with vibrant shades of green to add color to any ensemble.